The School of Health & Human Science's Adapted Movement Programs helps people with disabilities improve their overall physical, cognitive, and social function. The three clinics also provide a service learning opportunity for students, who get real-world experience as they work directly with clients. A community board of advisors promotes the clinics, raises funds, and guides program services. The Promoting Adapted Sports Skills Clinic provides a unique opportunity for individuals with disabilities to receive sport-related instruction with a sibling. 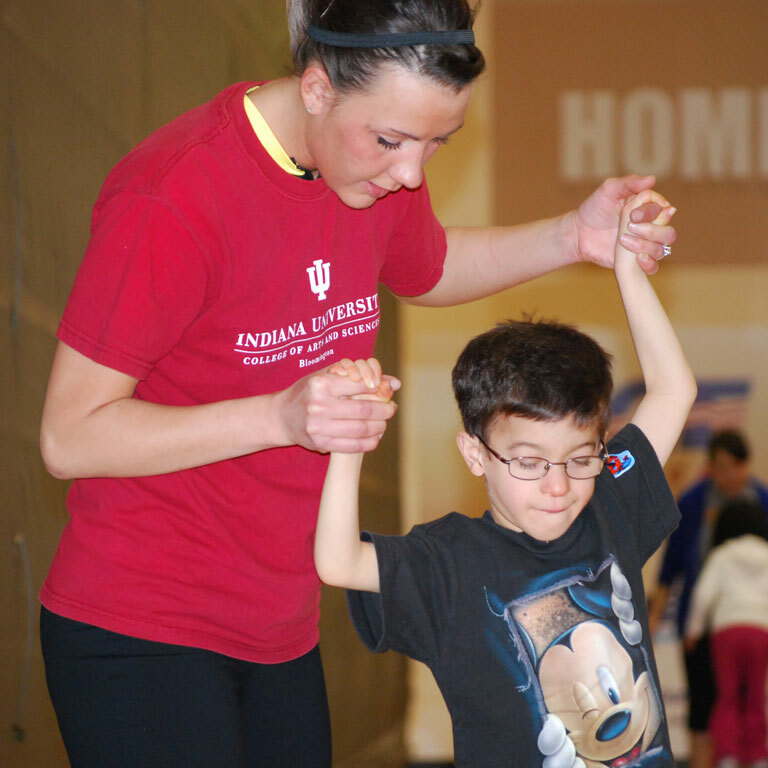 The IUPUI Adapted Movement Programs (AMP) offers family-centered, community-based physical activity programs for all individuals with disabilities. We believe quality physical activity and exercise equip people with enhanced opportunities for healthy, independent, and dignified living. Best practice in physical activity and exercise programming is family driven and community-based.